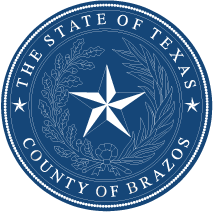 Voting in Brazos County is simple, and your vote counts! Here you will find information on what to expect, where to vote, how to register to vote, and information on the technological enhancements implemented in accordance with HR 3295 - Help America Vote Act of 2002 in order to make sure your vote is counted accurately and securely. Also, learn about current issues and how your vote really makes a difference, especially in local and county government elections.